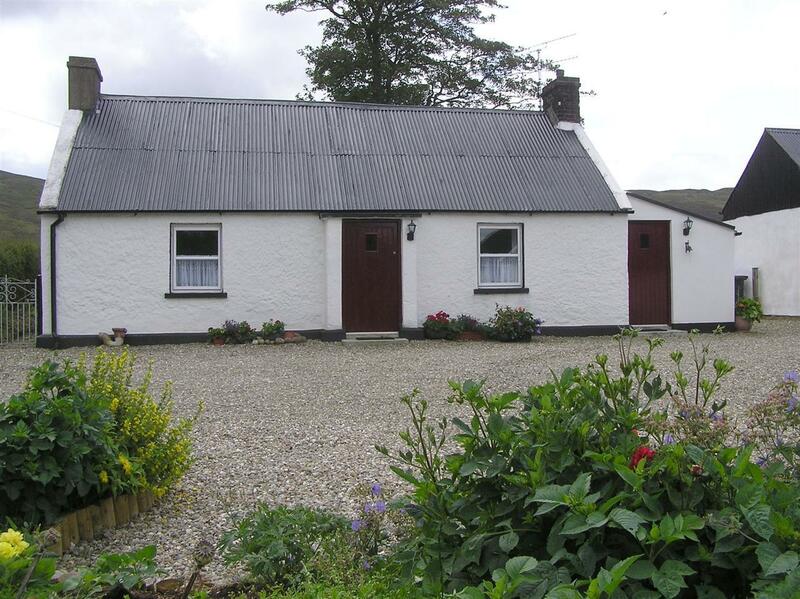 Lovingly restored, Joe’s Cottage is set in the Sperrin Mountain Range, close to the village of Gortin. This traditional cottage has been tastefully refurbished while still retaining it’s original charm. Facilities include two bedrooms a living/dining area with a wood burning stove, kitchen, bathroom with power shower and a utility room, perfect for muddy boots! The location is a great base for exploring the North West of Ireland. Within a few minutes drive you can visit The Gortin Glens Forest Park, with it’s stunning views, a variety of walks and home to Sika deer – this is a lovely place to enjoy a picnic. Also on our doorstep is the Ulster American Folk Park where you can learn what life was like in the past for people living in Ulster and for those who emigrated to America. The area is a favourite for walkers, ramblers and cyclists with miles of stunning landscapes on the South Sperrin Scenic Route. If angling is your sport, the rivers flowing in the Sperrins offer the chance to catch brown trout and salmon. For golfers – why not enjoy a round of golf and a bit of craic at the 19th hole at Newtownstewart & Omagh Golf clubs! Artists, photographers and writers can find inspiration in the drama of the lakes, forest, mountains and bogland. Sample our local cuisine or a pint of stout in the many local pubs and restaurants, or have a night out at the Strule Arts Theatre in Omagh! Joe’s cottage is a wonderful place to unwind and enjoy any of these pursuits. It’s cosy ambience, tranquil and pretty gardens with patio and barbecue area is the perfect setting for your holiday.